Just as cockroaches and other synanthropic organisms live in human dwellings, they find food, safety and suitable temperature conditions in the dwellings of termites, ants and other insects, leading an eusocial lifestyle, all sorts of uninvited guests also live. As well as at us, they find at owners safety, sustenance and a suitable microclimate. 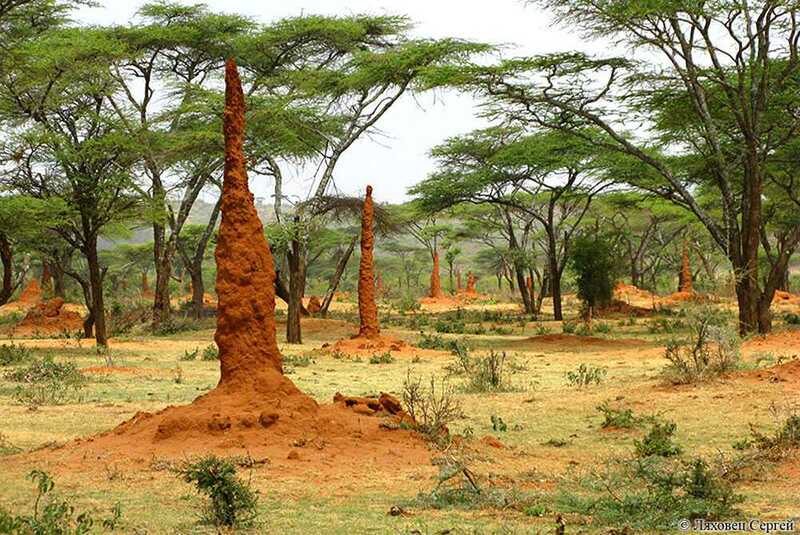 Representatives of many insect species willingly reside in termites, many of whom, having found themselves in favorable conditions, have lost the ability to live independently. Some of them have acquired devices that help to “nose-tip” termites, which, taking “tenants” for their kind, feed them or, in any case, do not attack. Typical for termotofilov is fizogastriya – inflated abdomen, making its owner similar to termite. Sometimes on it there are outgrowths that imitate limbs. Or the output of glands producing something tasty or good – at the sight of termites, of course – smelling. It also happens that the entire body of the insect acquires rounded forms, which look like a termite on the head. The beetle Eocorythoderus incredibilis, wingless and blind, acquired a knob-like outgrowth on the back. Grasping for them it is tolerated by termites, by the smell of accepting the beetle for its larva. Termitophiles are very many – hundreds of species. They are very poorly studied, because to get to know them one must climb deep into the termite quarry. Even this does not guarantee success, scientists who deal with thermophilic ants are often forced to state that it was not possible to detect individuals that could not reproduce, only workers. The geological history of the termophiles began relatively recently – already in the Cenozoic, from the finds of several individuals “sealed” in amber. 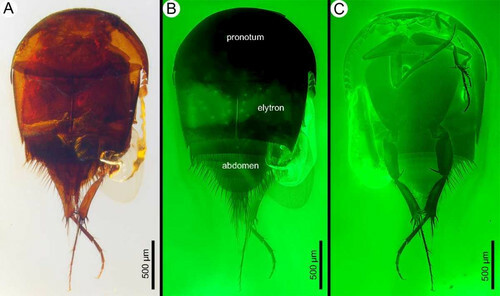 And so, last year Chinese scientists Chai Chengyang and Huang Diyung from the Nanking Institute of Geology and Paleontology (NIGPAS) reported the finding of a definitely termophilous beetle in Cretaceous amber from Burma (Myanmar). The animal, called Cretotrichopsenius burmiticus, has a body of a masking crab-like form, typical of many modern termophiles, with a hidden head and antennae. Abdomen shows well-developed posteriorly setae. Beetles demonstrate the characteristic features of the modern group Trichopseniini, including peculiar articulations of the hind legs. It is interesting that modern species of Trichopseniini most often inhabit the Termite nests of the family Rhinotermitidae – one of the largest and oldest. However, within the framework of this family they do not have clearly defined hosts, beetles settle in those who are most suitable at this time and place. The new find of the “amber insect”, which at the moment has hit about 99 million years, greatly lengthens the fossil history of lovers to live side by side with termites. 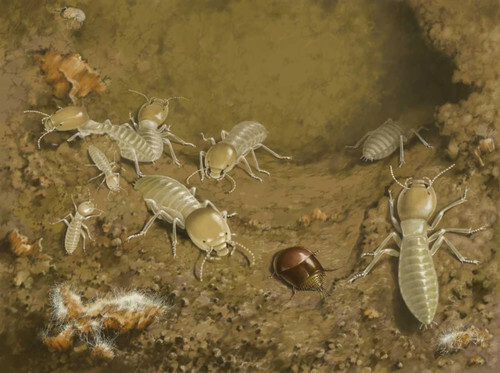 It turns out that insects, which were fully adapted to life in the termite, existed, if not at the time when the termites actually appeared, then through a geologically small time. The discovery of a new insect and related correction of views is reported in the issue of the journal Current Biology on April 24.